Best of the Best! 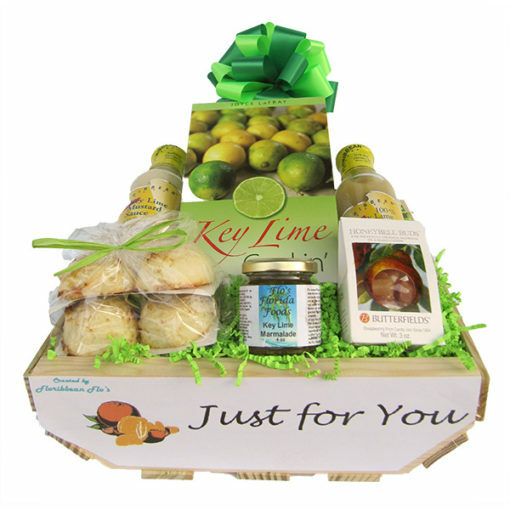 This specially crated Florida Gift Basket is a Key Lime Sampler of Key Lime foods celebrating the Key Lime with its premium selection of gourmet foods showcasing the unique and wonderful tart-sweet flavor of the Key Lime. Key Lime Mustard Sauce, Key Lime Juice, Key Lime Marmalade, Key Lime Hard Candies and 4 Key Lime Coconut Cookies and the Key Lime Cookin’ Cookbook.